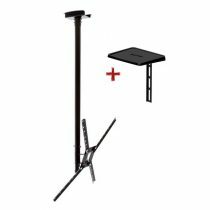 Brasforma support for TVs LCD, LED, Plasma, 3D and Smart TV (with maximum VESA 200x200mm) for 10 to 37-inch TVs with 3 movements. 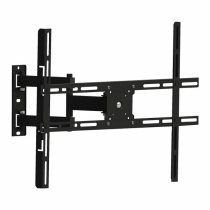 Allows tilt adjustment without the need for tools and adjust the level of Tv has quick-to facilitate mounting. 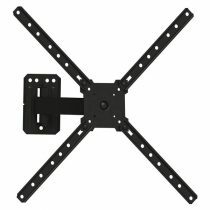 Let’s you adjust the TV to watch in multiple angles, it is ideal for living rooms, offices, rooms, hospitals, restaurants, among other places. make sure that the installing surface presents sufficient strength to a secure facility. Pay attention to the maximum load indicated for the support. We recommend that installation be carried out by a professional. 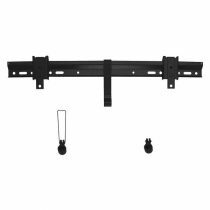 Universal Fixed TV support the frontal view, Brasforma provides is easy to install, it allows quick and is indicated for LED TVs, LCD, Plasma, 3D and Smart TV of 10 to 85 inches. 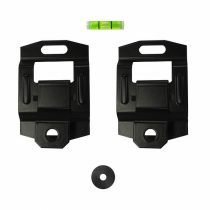 Has safety lock, hinged device for easy handling of cables. Comes with screws and dowels for brickwork, wood panel screws and bubble level. Bubble Level Attached and is already mounted! 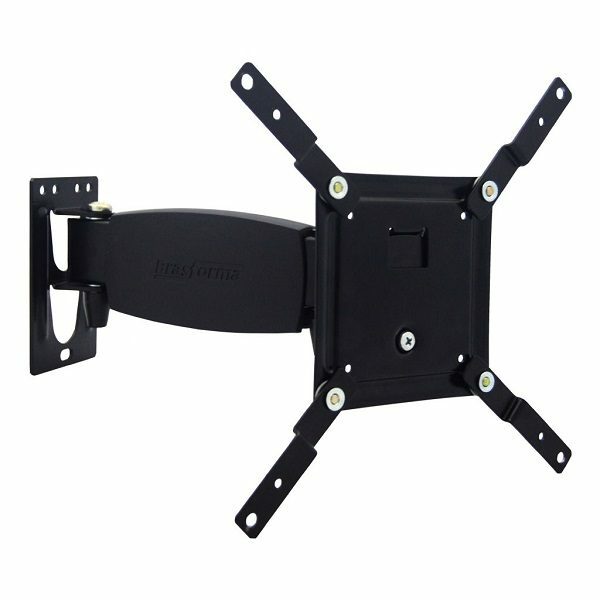 Brasforma ceiling mount for TVs LCD, LED, Plasma, 3D and Smart TV of 10 to 55 inches (with maximum VESA 400x400mm). Allows tilt, swivel and height adjustment (5 movements). Let’s you adjust the TV to watch multiple angles. Ideal for meeting rooms, offices, rooms, hospitals, restaurants, among other places. Bubble Level Attached and already mounted! With the Brasforma FIXED ULTRA SLIM TV Stand you get more space in your home environments. 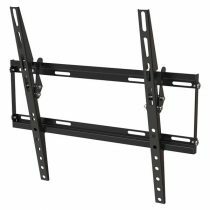 An excellent option to install your TV on the wall safely. Supports up to 35 kg and is made of carbon steel that provides greater durability and safety. With the ULTRA SLIM TILT Support, you get more space in your home environments. An excellent option to install your TV on the wall. Supports up to 35 kg and is made with carbon steel providing greater durability and safety. Attached bubble level and allows tilt adjustment without the use of tools. Needs a Ultra Slim support to make your TV close to the wall like a painting? 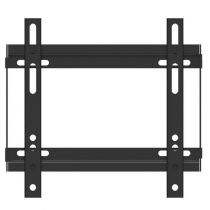 This fixed Brasforma Support that leaves your TV just 2 inches from the wall. 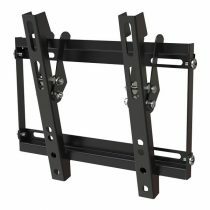 Even comes with cable Organizer, with bubble level and is ideal for TVs of 32″ up to 70″, up to 30 kg.